This Jesus waking the Apostles coloring page shows Him asking if they could not watch one hour with Him. This PDF prints 8.5x11" single sided. 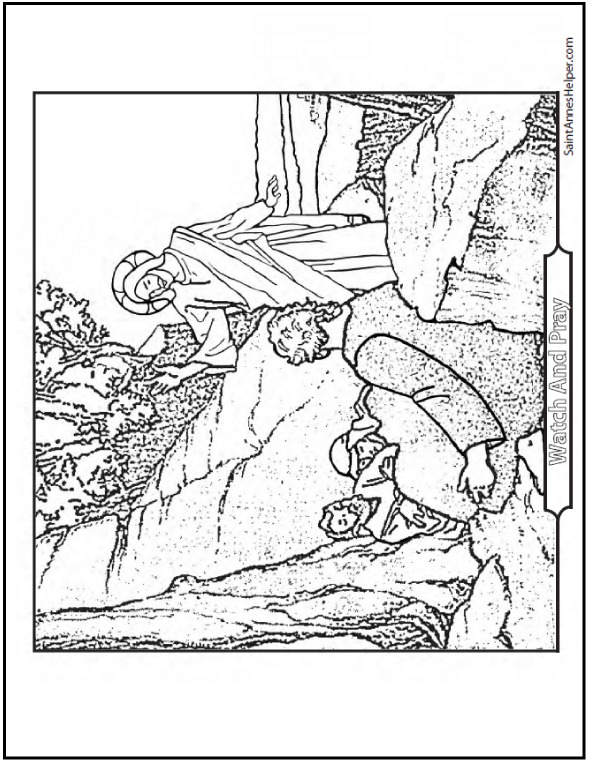 This coloring page shows Jesus asking Peter, James, and John to watch and pray with Him.